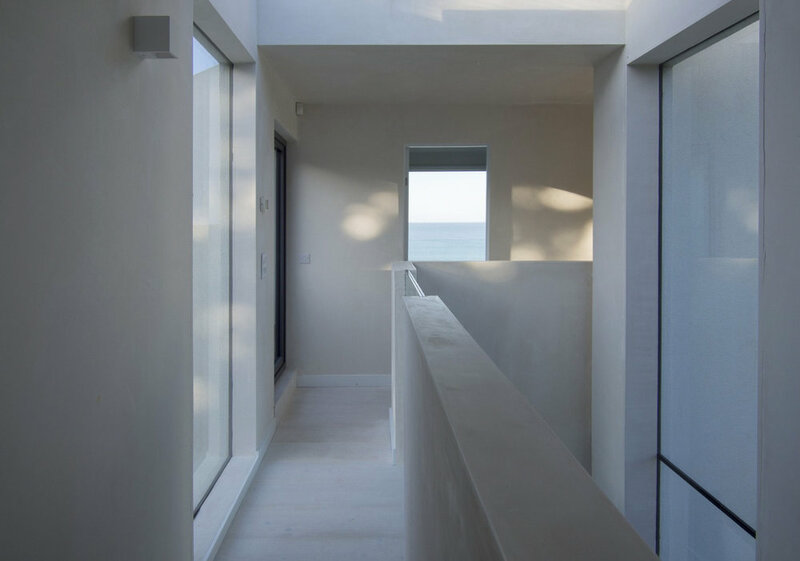 “Set back and hidden away on the edge of a Cornish cliff, Praa Sands Beach House sits quietly and unobtrusively; a homage to its beautiful natural surroundings. 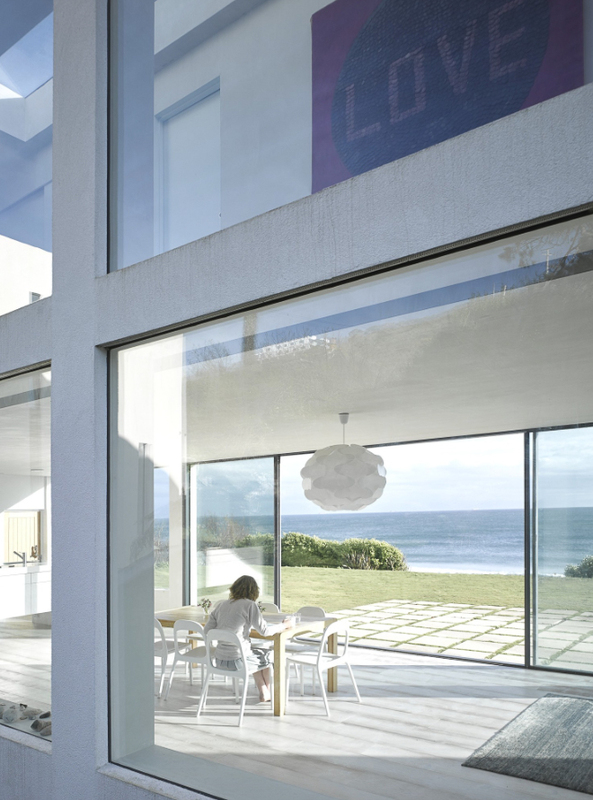 Designed and built by Alex Michaelis, one of London's most prestigious architects, the house is a beloved holiday home, drawing the family to Praa Sands from London at every opportunity. 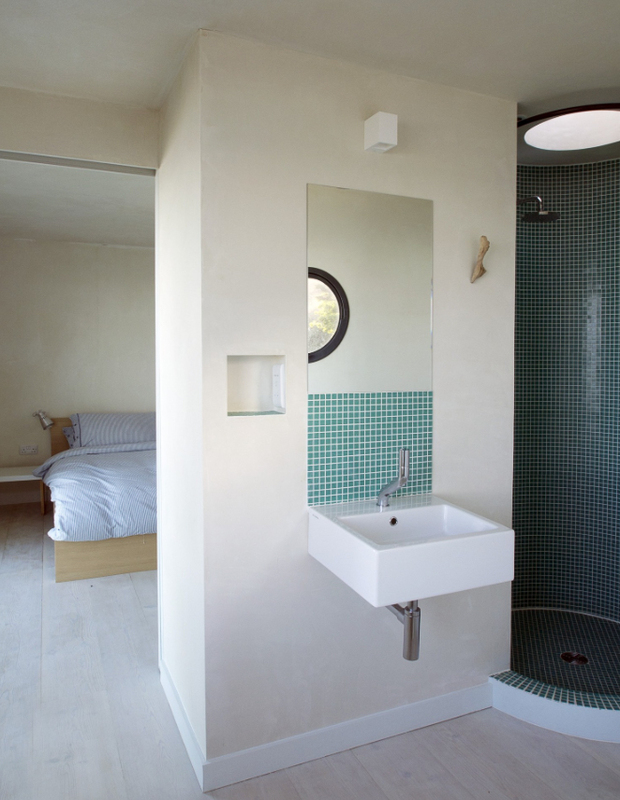 With a desire to create a space that eschews the traditional stone construction that is vernacular to the area, Praa Sands Beach House is built with the environment in mind. A ground source heat pump and solar panels set into the wild meadow grass roof show the architect’s concern and consideration for wider environmental issues, harnessing energy from the idyllic location and affirming the building’s relationship with the landscape. Externally, Praa Sands creates an elegant sculptural statement, but it is when you enter that the true beauty of the design is realized. 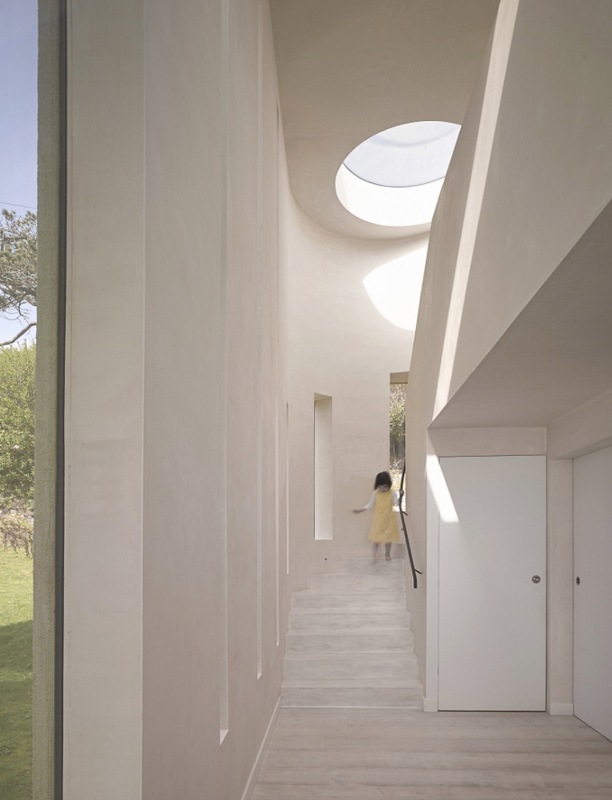 The shell-like helix of the stairs open up to a clear oculus, through which the moon shines, lighting and casting shadows on the while plastered walls. 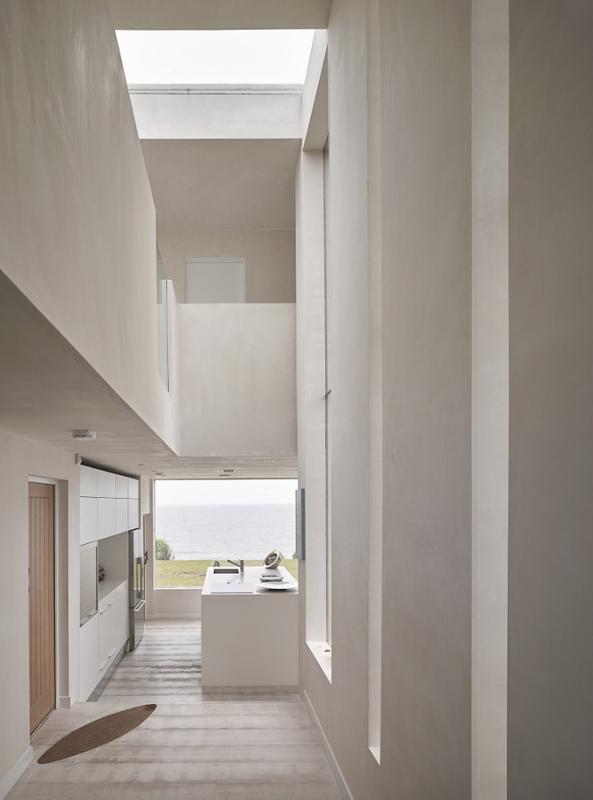 Every opening has been carefully positioned to allow light to permeate seamlessly between the spaces, creating an open landscape that echoes the shifting qualities of the environment throughout the day, and in different seasons.